Ubisoft paints a killer mural on our wall! 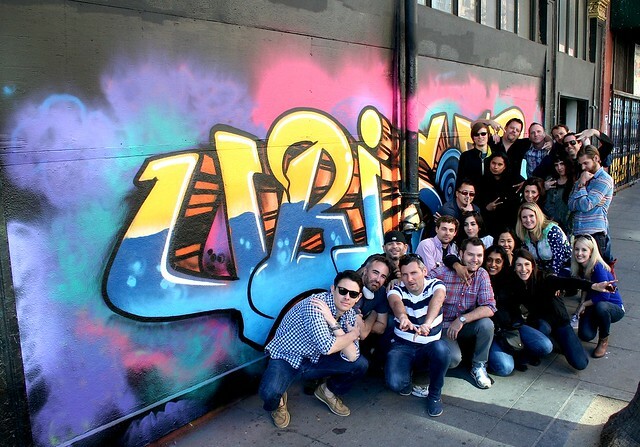 Home/Classes, Mural Production, Team Building Workshops/Ubisoft paints a killer mural on our wall! We had a blast with Ubisoft when they visited for an activity-filled Happy Hour and even brought their own small canvases for every one to paint on as take-home gifts. 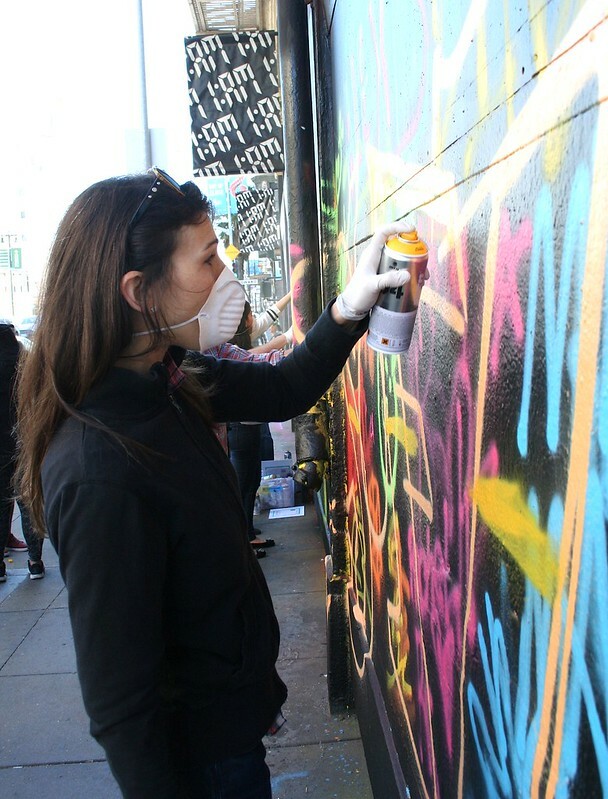 They learned all about the history of graffiti and got to practice spray painting and mural production as they created their own “Ubisoft” piece! Email privateevents@1AMSF.com to setup an event for your group or inquire about our packages.